This is actually one of the latest innovations from Google. 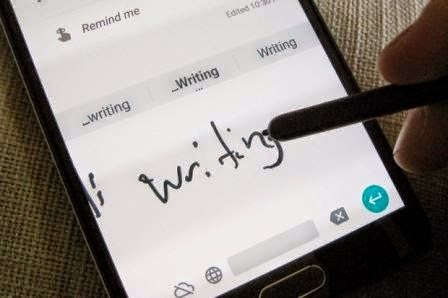 The handwriting keyboard is targeted as simplifying the way we input text into our devices. all what you have to do is to just scribble words on the screen of your device and it will be automatically converted into text. Aside text, the new keyboard app also supports both cursive and print writing as well as suggesting a suitable emojis when you draw out a smiley face. You can download it from Playstore or directly from here.